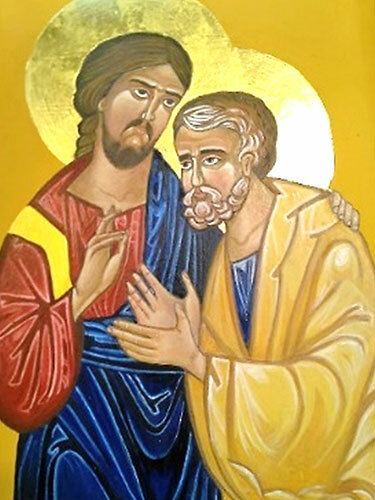 The Bridegroom is also the name given to the central icon used in Bridegroom Matins. 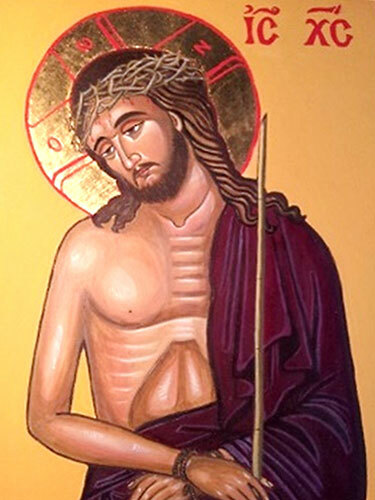 The Bridegroom icon and service is also commonly known in the Greek tradition as O Nymphios. 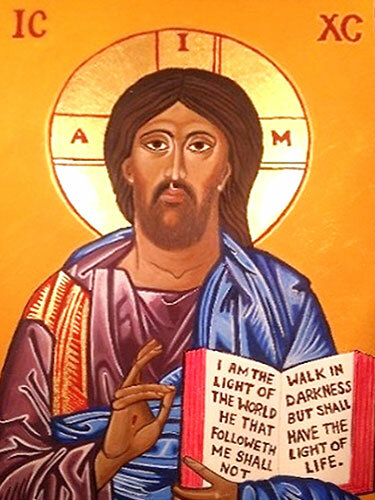 The most common translation of Pantocrator is “Almighty” or “All-powerful”. In this understanding, Pantokrator is a compound word formed from the Greek words πᾶς, pas (GEN παντός pantos), i.e. “all” and κράτος, kratos, i.e. “strength”, “might”, “power”. This is often understood in terms of potential power; i.e., ability to do anything, omnipotence. Another, more literal translation is “Ruler of All” or, less literally, “Sustainer of the World”. In this understanding, Pantokrator is a compound word formed from the Greek for “all” and the verb meaning “To accomplish something” or “to sustain something” This translation speaks more to God’s actual power; i.e., God does everything (as opposed to God can do everything). The Pantokrator, largely an Eastern Orthodox or Eastern Catholic theological conception, is less common by that name in Western (Roman) Catholicism and largely unknown to most Protestants. In the West the equivalent image in art is known as Christ in Majesty, which developed a rather different iconography. 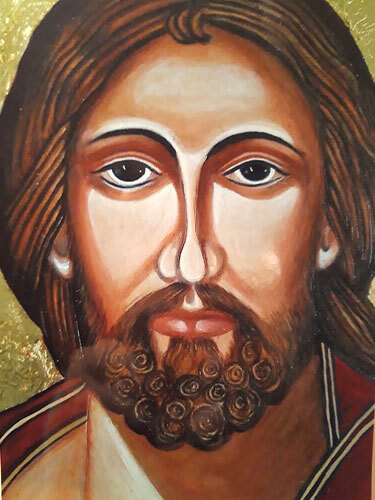 Christ Pantocrator has come to suggest Christ as a mild but stern, all-powerful judge of humanity. 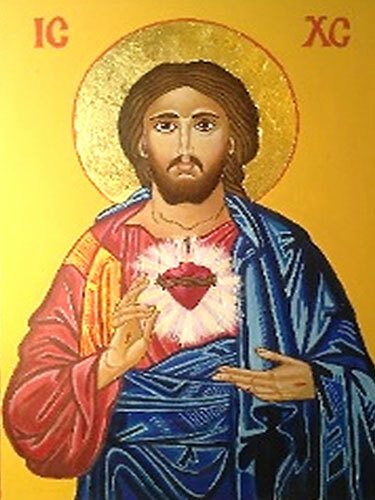 The devotion to the Sacred Heart (also known as the Most Sacred Heart of Jesus, Sacratissimum Cor Iesu in Latin) is one of the most widely practiced and well-known Roman Catholic devotions, taking Jesus Christ′s physical heart as the representation of his divine love for humanity. Saint Peter d. between AD 64 and 68), also known as Simon Peter, Simeon, or Simon (, according to the New Testament, was one of the Twelve Apostles of Jesus Christ, leaders of the early ChristianGreat Church. Pope Gregory I called him repeatedly the “Prince of the Apostles“.According to Catholic teaching, Jesus promised Peter in the “Rock of My Church” dialogue in Matthew 16:18 a special position in the Church. He is traditionally counted as the first Bishop of Rome‍—‌or pope‍—‌and also by Eastern Christian tradition as the first Patriarch of Antioch. The ancient Christian churches all venerate Peter as a major saint and as the founder of the Church of Antioch and the Roman Church, but differ in their attitudes regarding the authority of his present-day successors (the primacy of the Bishop of Rome). His brother Andrew was also an apostle. According to New Testament accounts, Peter was one of twelve apostles chosen by Jesus from his first disciples. Originally a fisherman, he played a leadership role and was with Jesus during events witnessed by only a few apostles, such as the Transfiguration. According to the gospels, Peter confessed Jesus as the Messiah, was part of Jesus’s inner circle, thrice denied Jesus and wept bitterly once he realised his deed, and preached on the day of Pentecost. According to Christian tradition, Peter was crucified in Rome under Emperor Nero Augustus Caesar. It is traditionally held that he was crucified upside down at his own request, since he saw himself unworthy to be crucified in the same way as Jesus. 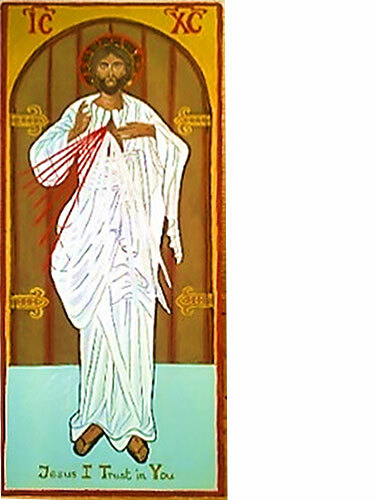 Divine Mercy of Jesus, also known as the Divine Mercy, is a Roman Catholic devotion to Jesus Christ associated with the reputed apparitions of Jesus revealed to Saint Faustina Kowalska. 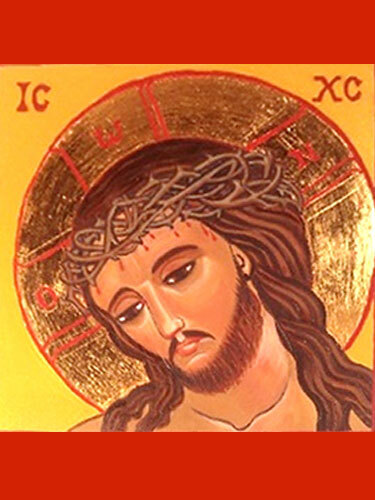 The Roman Catholic devotion and venerated image under this Christological title refers to the unlimited merciful love of God towards all people. Sister Faustina Kowalska reported a number of apparitions during religious ecstasy which she wrote in her diary, later published as the book Diary: Divine Mercy in My Soul. The three main themes of the devotion are to ask for and obtain the mercy of God, to trust in Christ‘s abundant mercy, and finally to show mercy to others and act as a conduit for God’s mercy towards them. This Orthodox icon is one of the most ancient as it adorned the catacombs of ancient Rome where the persecuted Christians celebrated their Liturgy. The image of the Good Shepherd is the most common of the symbolic representations of Christ found in Early Christian art in the Catacombs of Rome, before Christian imagery could be made explicit. The image continued to be used in the centuries after Christianity was legalized in 313. Initially it was probably not understood as a portrait of Jesus, but a symbol like others used in Early Christian art, and in some cases may also have represented the Shepherd of Hermas, a popular Christian literary work of the 2nd century. However, by about the 5th century, the figure more often took on the appearance of the conventional depiction of Christ, as it had developed by this time, and was given a halo and rich robes, as on the apse mosaic in the church of Santi Cosma e Damiano in Rome, or at Ravenna (right). 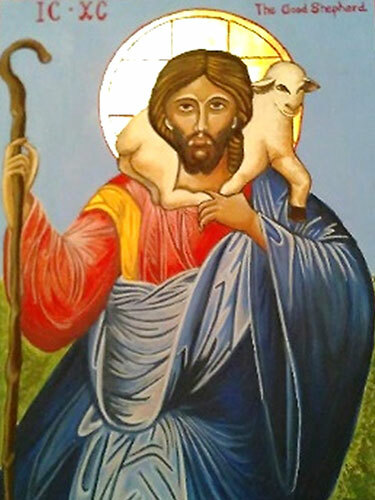 Orthodox Christian icons of the Good Shepherd often include a sheep on his shoulders, as in the Lukan version of the Parable of the Lost Sheep.